Connecting to communities through media outlets is an important part of what we do. 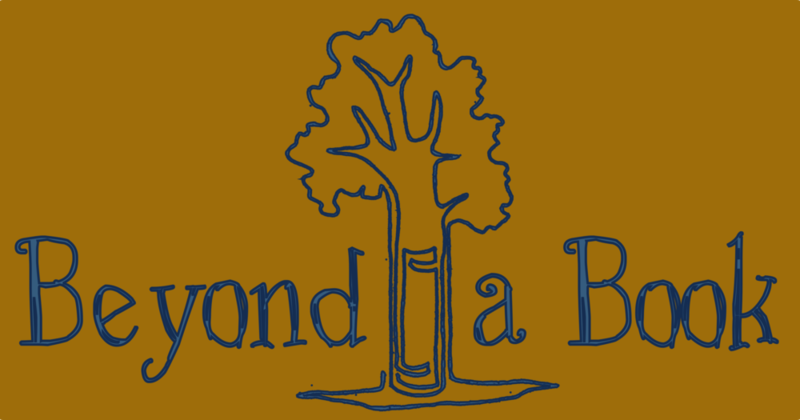 For media inquiries, contact us here, email us at beyondabook at gmail.com, or use our press release with photos to share our stories. Barker, Kimberly "Kansas biologist completes monarch migration voyage." Joplin, Missouri: The Joplin Glob. December 28, 2017. Correspondent "Cyclist Who Passed Through Ipswich Finishes Her 10,000-Mile Journey." Ipswich, MA: The Local Ne.ws. December 15, 2017. "Sara Dykman viajó con la Mariposa Monarca por tres países diferentes." Zitacuaro, Michoacan, Mexico: El Despertar. December 13, 2017. Contreras Vázquez, Luis. "Arribará a Zitácuaro investigadora que acompañó el viaje de la Mariposa Monarca." Zitacuaro, Michoacán, Mexico: El Despertar. December 4, 2017. "Mariposa Monarca." Cuidad Victoria, Tamalipas, Mexico: Gala Tv Cd. Victoria. November 20, 2017. Gass, Henry "Bicycling biologist pedals 10,000 miles along the Monarch butterfly's migration route." Taylor, Texas: The Christian Science Monitor. November 1, 2017. Kraske, Steve , Coy Dugger. "KC Cyclist Follows Monarch Migration." Kansas City, MO: KCUR 89.3. September 25, 2017. McKinstry, Erin "Following the Trail of the Monarch Butterflies: An Interview with Sara Dykman" Columbia, MO: 91.3 FM KBIA. September 22, 2017. Caton, Mary "'Voice for the monarch' cycling 16,000-kilometre butterfly migration route." Windsor, Ontario, Canada: Windsor Star. August 22, 2017. Bridge, Terry "Five months after leaving central Mexico, ButterBike arrives in Stratford." Stratford, Ontario, Canada: Stratford Beacon Herald. August 19, 2017. Muldoon, John "Ipswich is But One Stop on a 10,000-Mile Treck Following Butterflies." Ipswich, MA: The Local News. July 19, 2017. Mac Alpine, Dan "Biking for Butterflies." Ipswich, MA: Wicked Local. August 17, 2017. Jenks, Diane "Interview with Sara Dykman." The Outspoken Cyclist Podcast. July 15, 2017. Gemmill, Angela "Chasing butterflies: a 16,000 km cycling trip through 3 countries." Ontario, Canada: CBC News. June 23, 2017. Klassen, Jeff "ButterBiking with Sarah." Sault Ste. Marie, Ontario, Canada: SooToday. June 23, 2017. Julson, Tyler "International cyclist stops in Albert Lea during butterfly mission." Albert Lea, MN: Albert Lea Tribune. May 30, 2017. "Butterbiking with the butterflies." Sutherland, IA: NWestIowa.com. May 19, 2017. Benjamin, Heather "Learning about nature from a bicycle: A Q&A with Sara Dykman." Shawnee Mission, Kansas: US Green Building Council Center for Green Schools. May 16, 2017. Martin, Luke X "Kansas City Native Follows Monarch Butterflies By Bike, From Mexico To Canada — And Back." Kansas City, MO: KCUR 89.3. May 10, 2017. Ellison, Brian, Steve Kraske, Coy Dugger. "Biking For Monarchs, And Kansas City's Angel Flight Gets Patients To Needed Car." Kansas City, MO: KCUR 89.3. May 10, 2017. Adler, Eric "She’s making a 10,000-mile bike trip — with millions of monarch butterflies." Kansas City, MO: Kansas City Star. May 4, 2017. Hall, Terra "The Great Migration: Kansas City cyclist bikes monarch butterflies' 10,000-mile journey. "Louisburg, KS: 41 KSHB Kansas City. May 4, 2017. "Adventurers follow monarch butterfly migration on bikes." Windsor, Ontario, Canada: CBC News. April, 22 2017. Bostian, Kelly "Wildlife biologist pedals along with monarchs from Mexico to Canada and back" Broken Arrow, OK: Tulsa World. April 21, 2017. Barnard, Matt, "Biologist rides through three countries to benefit butterflies." Broken Arrow, OK: Tulsa World. April 21, 2017. "Jones, Caitlyn"The Great Migration: Woman bikes through Denton on butterfly trail. "Denton, TX: Denton Record-Chronicle. April 13, 2017. "ButterBike Visits Junction." Junction, Texas: The Junction Eagle. April 5, 2017. Barrera, Esmeralda" Recorre ruta de la Mariposa Monarca. "Monclova, Coahuila, Mexico: El Tiempo. March 28, 2017. Rojas Rodríguez, Ricardo "Inició Sara Dykman su recorrido junto con las monarcas rumbo a Estados Unidos y Canadá. "Zitácuaro, Michoacán, Mexico: Cambio del Michoacán. March 13, 2017. Rojas Rodríguez, Ricardo "Investigadora estadounidense acompañará a la Monarca en su regreso al norte del continente. "Zitácuaro, Michoacán, Mexico: Cambio del Michoacán. February 8, 2017. Dykman, Sara "On The River team promoting adventure-linked education on trek to Gulf of Mexico." Cut Bank, MT: The Valierian. July 15, 2015. McCleary, Mike. "On the River visits Miller Elementary School." Bismarck, ND: Capital Journal. September 03, 2015. Zion, Lee. "Paddlers share their Missouri River stories." Pierre, SD: Capitol Journal. Sep 16, 2015. Hayworth, Bret. "Canoe team urges Sioux City students to see Missouri River with fresh eyes." Sioux City, IA: Sioux City Journal. October 3, 2015. Brownlee , Milke. "West Harrison students learn about Missouri River from On the River adventurers." Council Bluffs, IA: The Daily Nonpareil. October 11, 2015. Treinish, Gregg. "Painting Her Way Down the Missouri and Mississippi." Boulder, CO: National Geographic Voices. October 22, 2015. Leroux, Madeleine. "Surprised by adventure." Jefferson City, MO: News Tribune. November 3, 2015. Evans, Desiree'. "Jefferson City Council Recognize Four Modern Day Explorers." Columbia, Mo: Mid Missouri Public Radio. November 3, 2015. McLauhlin, Sydnee. "Rattlesnakes, Water and Adventure." Pierre, SD. PILC Native News. November 7, 2015. Television Interview. “Touring the Nation…on their Bikes.” Sacramento, CA: Good Day Sacramento. April 23, 2010. Walters, Heidi. “Pedaling Pedagogues.” Eureka, CA: The North Coast Journal Blogthing. May 1, 2010. “Cross-country bikers make a local stop.” Iron River Reporter. September 29, 2010. “Bike49 group travels through U.P, Escanaba.” Excanaba Daily Press. September 28, 2010. Harris, Dionna. “Cyclists bring green message to Escanaba” Escanaba Daily Press. October 1, 2010. Suhs, Mardi. “Cyclists touring country stop in Cadillac.” Cadillac News. October 7, 2010. Luts, Tedd, “Cross-country bicyclists ride in Kane area.” Kane Republican. October 24, 2010. Dickson, Terry. “Group bicycling across the nation arrives on St. Simmons Island.” Florida Times-Union. January 7, 2011. Stepzinski, Teresa. “St. Simmons school children welcome cross-country cyclists.” Florida Times-Union. January 7, 2011. “Riding the USA” January 7, 2011. Capek, Erika. “Cyclists give students lessons in health” Brunswick News. January 8, 2011. Sailors, Jimmy. ”Biking across the nation” Dothan Eagle. January 24, 2011. Croft, Tim. “Touring and Teaching on Two Wheels” Florida Freedom Newspapers. January 23, 2011. Robertson, Joe. “Expeditionary Learning is a New Journey into Education” Kansas City Star. March 4, 2011.